Jesus Christ. Alpha and Omega: The Historical Jesus of Nazareth from "The Sacred Page"
The Historical Jesus of Nazareth from "The Sacred Page"
The search for 'Historical [Jesus] is made impossible by the very nature of the search… and the biased assumptions of the searchers. They don't search for the historical Jew, but, rather, for some early evidence of the trueness of their own ("it's right because I believe it") Roman-Hellenist (= idolatrous), antinomian (i.e., misojudaic) Christian [Jesus]. Evidence which contradicts the Christian image, rather than contributing to constructing the true picture of the historical Jew, is contemptuously dismissed as wrong. The Ya•a•qov′ Ossuary is an excellent example of the most authoritative scientists in the world corroborating its authenticity in the face of Christian-sympathizing archeologists (including secular-misojudic Jews) fueling Christian traditions with disinformation that even the courts have thrown out as pseudo-scholar drivel. This is proven in the very name of the search… for 'Historical [Jesus] —an intractable oxymoron! Every legitimate historian and scholar knows full well that "[Jesus]" isn't even the Greek name (Iæsous. ','#dfefff', 80)" ;="" onmouseout="hideddrivetip()">Ιησους), much less the original Hebrew name of the 1st-century Jew. [Jesus] a Hellenized, intrinsically idolatrous, post-135 C.E. name of a Roman-counterfeited image based on Paul the Apostate (a Hellenist Turkish-Jew). I can't believe it--the Pope is coming out with a book on the whole "historical Jesus" debate. I could hardly have asked for a bigger shot in the arm for my own personal research! For the past couple of years, this has been one of the primary areas of my own personal study. I'll have a lot more to say about it all as time goes on. English readers can thank Teresa Benedetta for translating the portion of the preface which has already been released. So what exactly is historical Jesus research? Why is it important that Pope Benedict is addressing this issue? I've already addressed some of the issues involved in Jesus research in a series of posts called, Philosophical Issues and Methodology in Jesus Research. Given the news about the new "papal" work, I'll be starting a brand new series of posts next week, entitled: Jesus and the Restoration of the Davidic Kingdom. I want to wait to talk about it on my radio show on Friday before I start posting. This will be a long series and it will incorporate all of the work I've been doing for a while now. I'm posting this series for two reasons. First, I want to help give lay Christians a good introduction to the issues at hand. So let me appeal to all you lay Catholic bloggers out there-- please help me get the word out about this series. For those interested in understanding what the Pope is up to, this is, in part, for you. Second, I hope to get feedback from scholars, Ph.D. students, students of biblical studies, etc. I am currently in the middle of writing a dissertation on this topic. I'd be grateful for your thoughts and comments. So, please feel free to spread the word among your colleagues and among the biblioblogs about what I'm launching into here. During my youth - in the 1930s and 1940s, a whole series of exciting books on Jesus were published. I remember a few of the authors' names: Karl Adam, Romano Guardini, Franz Michel Willam, Giovanni Papini, Jean-Daniel Rops. But starting with the 1950s, things changed. The tug of war between a 'historical Jesus' and "Jesus of the faith' became ever more wide - to the point of 'losing sight of each other'. What the Pope is describing here is the rise of what is now often referred to as a the "New Quest." Here we have a great opportunity for a little introduction to historical Jesus research. Reimarus’ thus set forth two of the principle tasks that henceforth became hallmarks of scholarly treatments of Jesus: understanding Jesus’ preaching within the Judaism of his day and distinguishing the teaching of Jesus from that of the early Church. Reimarus kept his reconstruction of Jesus a secret—even from his own wife. Reimarus' work was made popular by Albert Schweitzer, whose book The Quest for the Historical Jesus (1906) stands as one of the most influential books on Jesus in critical scholarship. An on-line version of this book is available here. Beginning in the 1950's there was a renewed interest in the scholarly world in the historical Jesus. A flurry of books came out on the topic, sparked in large part by Ernst Kasemann. Kasemann was concerned about the growing popularity of Rudolph Bultmann's theology. Bultmann had seemingly made the historical dimension of the incarnation irrelevant by focusing on the the "kerygmatic Christ"--the Christ who is preached. Kasemann was concerned that this approach led to a kind of docetism--one of the early Christian heresies which denied Jesus' humanity. Kaseman challenged scholars to find the earthly Jesus in the kerygma. His challenge was picked up by a number of scholars (Fuchs, Bornkamm, Conzelmann, Fuller, Perrin and Robinson). It was James A. T. Robinson who popularized the term “New Quest." Bultmann eventually responded in 1959. In many ways his response marked the beginning of the end of New Quest. What Benedict says of the scholarship of this period is generally recognized by most scholars. As sited above, he writes, "The tug of war between a 'historical Jesus' and 'Jesus of the faith' became ever more wide - to the point of 'losing sight of each other'." The scholarship of the so-called "New Quest" largely ignored Jesus' Jewish roots--in fact, one almost detects a looming anti-semitism in some of the work of the period. Many contemporary scholars have sought to correct this problem--they are sometimes referred to as scholars of the "Third Quest"--but you'll have to read my upcoming series for more on that! But what significance could there be in faith in Jesus Christ, Jesus as the Son of the living God, if Jesus the man was so different from what the evangelists had portrayed and how the Church pdroclaims Him to be on the basis of the Gospels? The progress of historical-critical research led to ever more subtle distinctions among the different layers of tradition. Behind those layers, the figure of Jesus, on which the faith rests, became ever more indistinct, took on ever less definite contours. The Pope's comments here are dead on. So much contemporary Jesus research view the Gospels as unreliable--the product of much mythologizing. As a result, Jesus scholars often focus on recovering the so-called "authentic" words and deeds of Jesus. Implied in this is the assumption that much of the Gospels' portrait is, I suppose, "inauthentic". Scholars resort to various criteria of authenticity, such as "embarassment". "Embarassment" refers to locating elements of the Gospels which seem to stand in tension with the beliefs of Christianity. For example, Jesus' baptism is recognized as a historical event since, scholars say, it would have been unlikely that early Christians would have invented a story about Jesus receiving baptism from another Jewish teacher--John the Baptist. The Baptist appears, and cries: "Repent, for the Kingdom of Heaven is at hand." Soon after that comes Jesus, and in the knowledge that He is the coming Son of Man lays hold of the wheel of the world to set it moving on that last revolution which is to bring all ordinary history to a close. It refuses to turn, and He throws Himself upon it. Then it does turn; and crushes Him. Instead of bringing in the eschatological conditions, He has destroyed them. The wheel rolls onward, and the mangled body of the one immeasurably great Man, who was strong enough to think of Himself as the spiritual ruler of mankind and to bend history to His purpose, is hanging upon it still. That is His victory and His reign. Yet, what scholars now generally agree upon is this--Jesus probably did not expect an imminent end of the world. Such a view is not plausible since it does not set Jesus properly within his Jewish context. Jesus' preaching of the kingdom of God had to do with Israel's hope for the restoration of Israel from exile, not the imminent end of the space-time universe. Schweitzer had misunderstood the image of the "kingdom of God." At the same time, the reconstructions of the Jesus who should be sought behind the traditions of the Evangelists and their sources, became ever more contradictory: from the revolutionary enemy of the Romans who opposed constituted authority and obviously failed, to the gentle moralist who allows everything, and inexplicably ends up by bringing on his own downfall. Whoever reads in succession a certain number of these reconstructions will realize soon enough that they are rather depictions of the authors and their ideals more than the clarification or disclosure of an image that has become muddled. Meanwhile, however, diffidence has been growing towards these many images of Jesus, while His figure seems to be getting farther way from us. Again, Benedict is right on. The portraits offered by Jesus scholars are often quite contradictory. S. F. Brandon believed Jesus was intent on overthrowing the Romans. He argued that Jesus was sympathetic to the zealot movement. The Gospel tradition sought to erase the memory of his revolutionary intentions--though, he argued, traces may still be found. On the other end of the spectrum stand authors like J. D. Crossan. Crossan argues that Jesus was basically a Cynic philosopher, who advocated a "brokerless kingdom." Critiques of both views have been offered by many. Suffice it to say, the two portraits couldn't be more different! All these attempts have left behind in common the impression that we know very little for sure about Jesus and that it was only much later that the faith shaped His image in its divinity. This impression has penetrated profoundly into the collective consciousness of Christians. Such a situation has dramatic implications for the faith because it makes uncertain its authentic point of reference itself; the intimate friendship with Jesus, on which everything depends, is threatened because we are left groping in the void. For my presentation of Jesus, it meant above all that I trust the Gospels. Of course, I take into account what the Council and modern exegesis say about literary genres, about the tendentiousness (intenzionalita) of statements made, in the communitarian context of the Gospel and what they say to us in a living context. Even granting all that, as much as I possibly could, I have wished to try and present the Jesus of the Gospels as the true Jesus, as the 'historical Jesus' in the true sense of the expression. I am convinced - and I hope that the reader will also realize this - that this figure is much more logical, and from the historical point of view, even more understandable than the reconstructions that we have had to confront in the last few decades. The Pope, I believe, will ultimately be proved correct. The portrait of Jesus found in traditional mainline Christianity is the portrait that will make the most sense given the historical evidence. In fact, Craig Evans has already essentially made that case, showing that at just about every turn, the traditional portrait of who Jesus was makes more sense than the critical historical reconstructions offered by so many different scholars. I hope, however, that the reader understands this book was not written against modern exegesis, but with great recognition of much that it has given us and continues to give us. 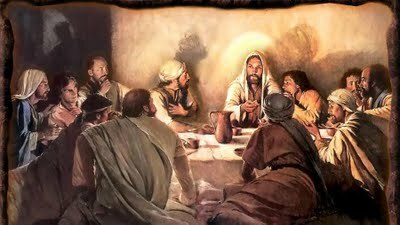 It has made us discover a great quantity of sources and concepts through which the figure of Jesus can become present for us with a liveliness and depth that a few decades earlier we could not even have imagined. All I have done is to go beyond mere historico-critical interpretation, by applying new methodological criteria which allow us a proper theological interpretation of the Bible and which naturally demand faith without at the same time renouncing historical seriousness. Certainly, there should be no need to say explicitly that this book is absolutely not a magisterial action, but is only the expression of my personal research into the 'face of the Lord" (Ps 27,8). And so everyone is free to contradict me. This is not a magisterial work--it represents Joseph Ratzinger's private opinion... but that doesn't mean, I suspect, that this is a work of minor importance. I think what the Pope means is, "This is not a doctrinal condemnation of many critical reconstructions of Jesus which deny the reliability of the Gospel accounts--this a scholarly one. Contradict me if you can...(I doubt you'll be able to)." I believe this is going to be a book of HUGE significance--I'm talking, Theology of the Body-type huge. Look out Jesus Seminar, look at Dan Brown... Benedict is coming after you... and he's got you in his sights. Reimarus’ work was republished in seven fragments. The longest fragment, Von dem Zwecke Jesu und seiner Jünger, is found in Talbert, Charles H., ed, Reimarus: Fragments (trans., R. S. Fraser. Lives of Jesus Series. Philadelphia: Fortress Press, 1970). Harrisville and WalterSundberg, The Bible in Modern Culture, 60. Talbert, Charles H. ed. Reimarus: Fragments (trans., R. S. Fraser. Lives of Jesus Series. Philadelphia: Fortress Press, 1970), 101. Harrisville and WalterSundberg, The Bible in Modern Culture, 62. For example, Reimarus identified the problem of the “delay” of the Lord within early Christian thought. Harrisville and WalterSundberg, The Bible in Modern Culture, 56. Reimarus, however, was confident that one day his views would be vindicated: “A time will come for a division between two groups: believers in revelation, and the despised advocates of reason. . . . This writing is and remains a true apology and defense against imposing a faith on us. Preserve it as a secret treasure. . . . until it pleases God to give rational religion a path toward open, healthy freedom, then draw you to responsibility for it.” Cited in Carl Moenckeberg, Hermann Samuel Reimarus und Johann Christian Edelmann (Hamburg: Gustav Eduard Notle, 1867), 123. Chadwick, H. Lessing’s Theological Writings (London: Black, 1956), 53, 55. Here I use these two terms broadly to describe the way scholars seek to “get behind” the Jesus of the Gospels or the Creed. It should be noted that these two terms have a long history and many scholars disagree as to the meaning assigned to them. For Martin Kähler (1835-1912), the man typically credited with coining the distinction, the “historical Jesus” simply meant the reconstructed Jesus of critical scholarship. A key figure in the history of this discussion is Rudolph Bultmann (1884-1976), who believed there was little need to establish the kerygmatic Christ on historical research into Jesus’ life. For a fuller discussion see John P. Meier, A Marginal Jew: Rethinking the Historical Jesus (vol. 1 of The Roots of the Problem and Person; ABRL; New York: Doubleday, 1991)26-31.